This review is a little different. It’s a two-fer post where we’ll be talking about two very different but equally convenient products that will make your meals and parties much easier to provide food for. Typically I just buy some chips at the store and call it a day. I don’t even put the chips in the bowl – I let people eat out of the bag. Sure, it’s no the most gourmet option, but it saves me one dish to wash. It’s just that appetizers aren’t exactly my forte. I’m still learning to cook real dinners, let alone miniature sized ones for large groups. With SeaPak and Farm Rich products, I can quickly and easily serve gourmet treats to my guests. The SeaPak Shrimp Company is the #1 retail brand within the frozen specialty seafood category. For 60 years, we’ve provided the highest quality, best-tasting shrimp. Quite simply, we’re the shrimp experts. The SeaPak Shrimp Co. is known for its care and attention in choosing only the best shrimp for its retail and foodservice products. Farm Rich® products have been setting the standard for delicious, easy-to-prepare food the whole family loves. Farm Rich® foods taste like nothing else because they’re made like nothing else – with 100% real ingredients like real cheese, high-quality meats and fresh vegetables. Our snacks, appetizers, and breakfast foods are quick-frozen and carefully packaged so busy families can prepare great tasting food within minutes. Shrimp are tricky to cook. At least that’s what I hear. I’ve yet to be brave enough to cook shrimp. Fortunately SeaPak makes it easy to cook up and to serve shrimp for appetizers or even for dinner. They have a wide variety of shrimp and seafood products that quickly and easily go from freezer to oven to tummies, including Popcorn Shrimp, Shrimp Scampi, and Herb Butter Salmon. I cooked up their Jumbo Butterfly Shrimp and their Tempura Shrimp. The most amazing thing to me was how crispy the shrimp were out of the oven…and I cooked them in a toaster oven, even! The perfect crispiness without overcooking the shrimp. The shrimp were firm and didn’t taste fishy at all. And if you have a mental issue about eating shrimp poop, like I do, then never fear! These SeaPak shrimp were de-veined! WAHOO! 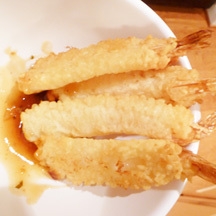 The SeaPak Tempura Shrimp cooked up nice and crispy with a delicious tempura breading. It came with a sauce which is kind of like a sweet & sour with a very, very mild spiciness and was quite tasty. The Jumbo Butterfly Shrimp tasted like a restaurant quality fried shrimp. Again, the breading came out nice and crispy – as if it had just come out of the fryer without any of the oiliness. I didn’t have any cocktail sauce but instead enjoyed them with ketchup. So yummy. Wouldn’t be surprised one bit if some of these restaurants actually stocked and served these shrimp. Once you’ve established that you really are gourmet by serving perfectly cooked shrimp, you can also tote out some freshly cooked Farm Rich Mini Quesadillas. Talk about making it easy to serve finger foods. Farm Rich also has a wide variety of appetizers and easy-to-prepare snacks, including Min Philly Cheese Steak, Mozzarella Bites, and Meatballs. 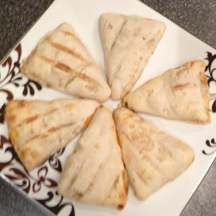 We prepared the Farm Rich Mini Quesadilla slices. The Farm Rich Mini Quesadillas are premade miniature slices of stuffed crust that are baked with mozzarella, cheddar and monterey jack cheeses and white meat chicken. Since these are stuffed crusts, the outer part is a little thicker than a tortilla, but has a nice grilled flavor to it when cooked. These also have a nice spicy kick to them. Nothing too strong, just a lingering hotness. When you get that perfect bite of crispy crust, plus cheese, plus the chicken….yum. If you need to serve some tasty snacks and appetizers at your next party, consider SeaPak seafood products and Farm Rich Snacks and Appetizers. There are so many delicious choices to choose from that are easy to prepare and even easier to eat. Farm Rich and SeaPak are available in stores nationwide. You can also download a coupon for $0.75 off a Farm Rich product from their website. One winner will receive a coupon for a FREE SeaPak product and a FREE Farm Rich product. 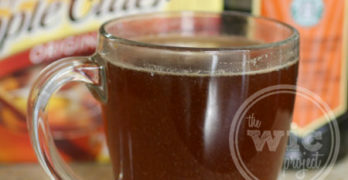 Visit www.seapak.com or www.farmrich.com and leave a comment with the product you want to try the most. For ONE bonus entry, follow Farm Rich on Twitter and leave a comment with your Twitter handle or “Like” Farm Rich on Facebook and leave a comment with your FB name. Giveaway ends at 11:59 PM EST, March 18, 2011. UPDATE: This giveaway will end on March 26, 2011. My entries were missing and turned to Anonymous?! I’ll be re-entering. Id love to try the Farm Rich Mozzarella Bites. I love clam strips. I would like to try theirs. already liked both websites and FB pages–left a message you sent me…love the cheese sticks from Farm Rich we love the popcorn shrimp from SeaPak! regualr customers. From Farm Rich, I think I’d like to try the Mini Philly Cheese Steaks. Thanks. I would like to try their mozerella bites. I’d like to try the Shrimp Scampi! I want to try the Stuffed Jalapeno Peppers the most. I’d like the butterfly shrimp and mozzarella bites. I follow farm rich on twitter as humanecats. I follow your blog on GFC as Ericka T.
would love to try the jumbo butterly shrimp and the philly cheese steak melts. I am a big fan of Sea Pak…every product I’ve tried of theirs has been delicious! I’d love to try SeaPak’s Clam Strips and Farm Rich’s Mozzarella Sticks. Thank you for the chance to win! 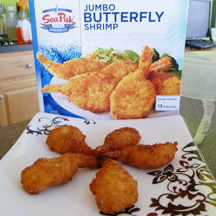 I most want to try SeaPak’s Jumbo Butterfly Shrimp! I want to try the Coconut Shrimp from SeaPak and the Mozzarella Sticks from Farm Rich. I would like the try the jumbo butterfly shrimp! I would like to try the SeaPak Tempura Shrimp . I liked SeaPak on FB. I liked Farm Rich on FB. I would like to try the Jumbo Butterfly Shrimp from Seapak and the Mushrooms from Farm Rich. like to try their clam strips. I’d like to try, I THINK, Seapak’s coconut shrimp. I love coconut shrimp! 😀 Of course, there’s always FarmFresh’s mozzarella sticks. Do I have to choose? 😀 Thanks for the chance to win! *Like*d you on FB! 🙂 Thanks so much! I like the farm rich cheese sticks..
I’d like to try the Seapak Popcorn Shrimp and the Farm Rich Mini Philly Cheesesteaks. I like The WiC Project on Facebook and am a subscriber. I’d like to try the new popcorn fish from SeaPak! Thanks for the chance. I want to try FarmRich cheese sticks. Seapak Tempura Shrimp sounds good. I would like to try the Farm Rich Cheese and Pepperoni Pizza Slices. I follow Farm Rich on twitter @Aerated. Farm Rich’s Pepperoni Pizzeria Bites are the product for me. The wonderful flavor of pepperoni pizza with the mess; that is unbeatable. , “Like” SeaPak on Facebook -pamela j.
I’d love to try the SeaPack PopCorn Fish. 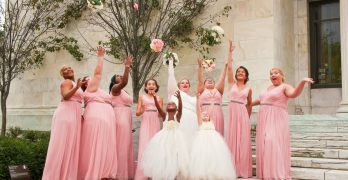 SeaPack is such an great product! I’d like to try Farm Rich’s Philly Cheese Steaks. I’m a facebook fan of SeaPak Shrimp and Seafood under username Jennie Tilson. I’m a facebook fan of Farm Rich under username Jennie Tilson. i’d love to try the french toast sticks! I would love to try the Popcorn Fish. I’d love to try the Farm Rich mozzarella sticks! I’d like to try the philly cheese steak from farm rich. Thanks! I would love to try the Shrimp Poppers! I would like the shrimp scampi and the mozzarella sticks. Those Farm Rich Mozzarella Bites look yummy! I would to try the Maryland Style crab cakes and the the philly chesse steaks. I Like SeaPak on FB -Mary Jaco. I like Farm Rich on FB-Mary Jaco. I want to try the Cheese Sticks. I follow Farm Rich on Twitter (simplydab) and I “Like” Farm Rich on Facebook (simplydab). my kids would like the popcorn shrimp! I would LOVE to try the Farm Rich Cheese Sticks or Mozzarella Bites. I like SeaPak’s popcorn shrimp. Would love to try the FarmRIch mini Philly Cheese Steaks. I want to try the popcorn shrimp. I follow Farm Rich on twitter as willitara. I’m already an email subscriber and like The WIC Project on FB. From SeaPak, I’d love to try the Jumbo Butterfly Shrimp! Thanks. I’d like to try the Maryland Style Crab Cakes 🙂 *Thanks* for the giveaway! # For ONE bonus entry, “Like” Farm Rich on Facebook and leave a comment with your FB name. I would like the shrimp scampi. I would like the philly cheesesteak. I also would like the sandwich melts. 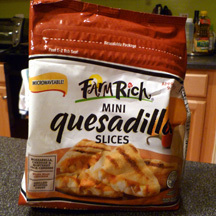 I’d like to try the Farmrich Mini Quesadilla Slices. I like Seapak on FB (Mari Doug) and commented.